The origins of the Bernard’s unique and beautifully crafted cheeseboards were rooted in Barrie’s Royal Victoria Hospital. Thank you gifts, a commissioned boardroom table, donations for fund-raisers all served to create a certain buzz around Bernard’s contributions and his Canadian Cheeseboards. As a result, they have found their way into some of the finest homes and establishments. 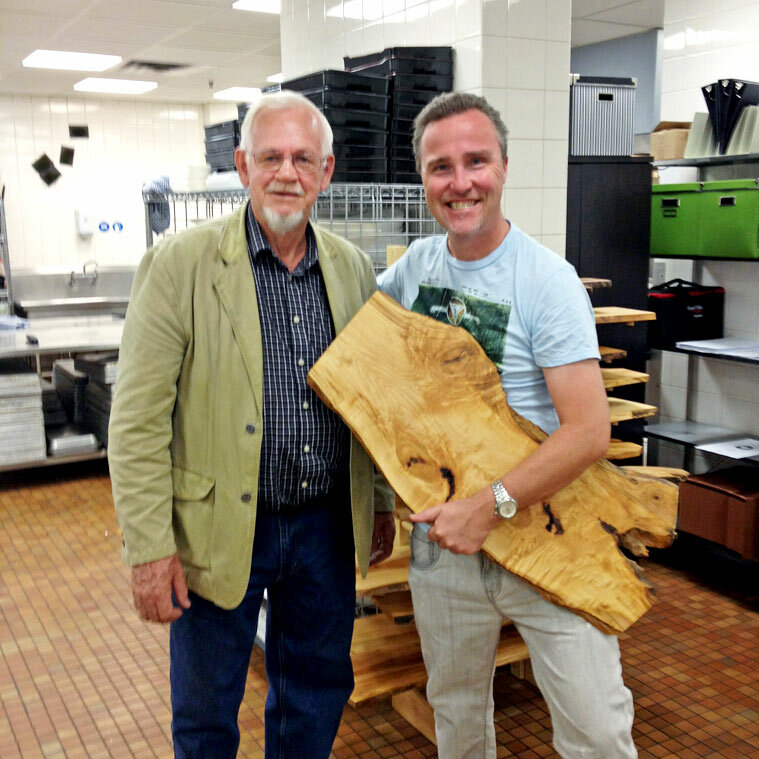 Having discovered the cheeseboards at the St. Lawrence Market in Toronto, Michael Blackie, the Executive Chef places an order for 25 Canadian Cheeseboards. 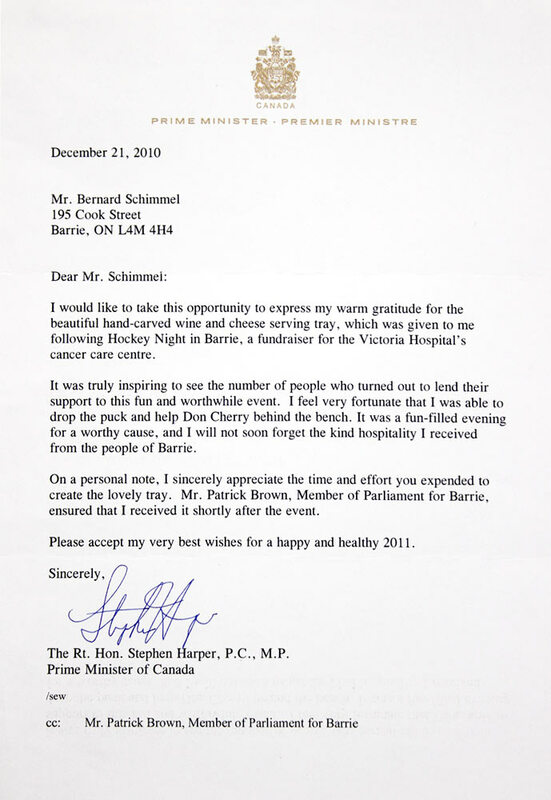 Stephen Harper receives a cheeseboard in thanks for his participation in this Royal Victoria Hospital fund-raiser.